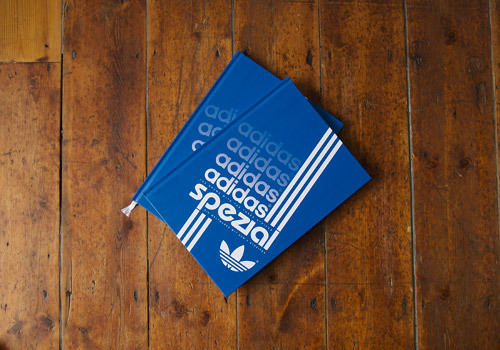 Starting today, July 20th, were running a contest until July 31st in which we’re giving away two copies of the adidas Spezial book, each signed by Aspden, Brooks, Ian Brown, D.M.C., and Primal Scream’s Gillespie. 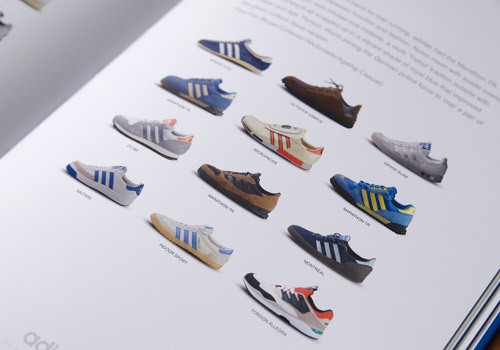 This July, 2013, there’s an adidas exhibition at the Hoxton Gallery in London’s Shoreditch district from the 19th to the 27th. 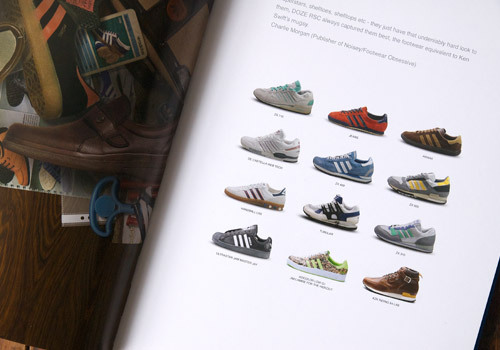 With Gary Aspden spearheading the event, a handful of collectors got together to showcase their vintage, special edition, and ultra-rare adidas pairs. After attending a pre-opening talk with Gary Aspden and Robert Brooks we joined the masses in the official opening party and were gladly surprised to find celebrity appearances in full force. Thinking not just about ourselves and our enjoyment, we moved quickly to obtain two extra copies of the so-called ‘exhibition catalog’, a fun, lightweight, coffee table book put together to sum up the event and further explain the ongoing passion for the brand. 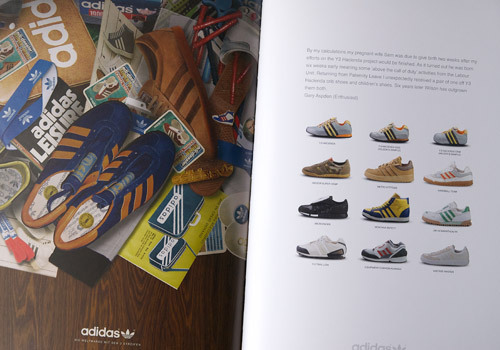 Not only are we giving away those two copies of the book, but thanks to the hands of Gary Aspden (adidas consultant and enthusiast), Robert Brooks (designer and avid adidas collector), Darryl “D.M.C.” Matthews McDaniels (from infamous rap group Run DMC), Ian Brown (Stone Roses rockstar and adidas loyalist), and Robert “Bobby” Gillespie (vocalist from the Primal Scream) we’re able to give away each book covered in their scrawling signatures. So wait not, trefoil tribe lovers, sign up for the contest above and cross your fingers that you’re the lucky fan who receives a little piece of pop culture history. Come on book – come to papa !! Hopefully I win so I can show it off on my channel!